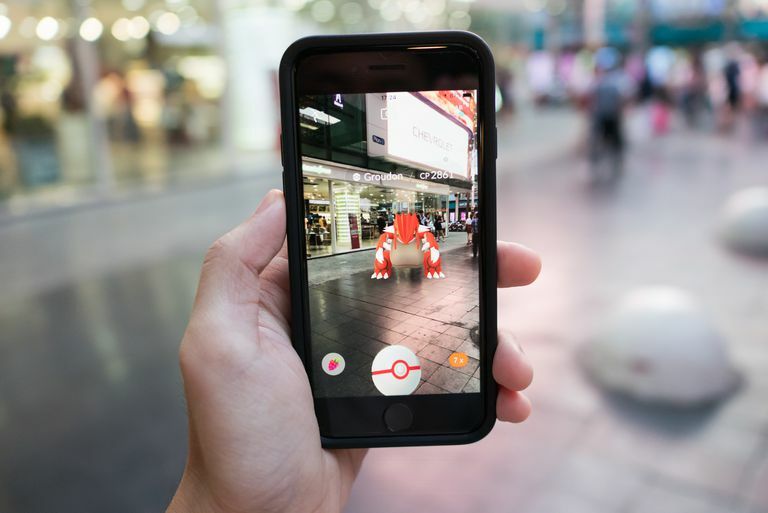 When you load up Pokemon Go on your phone and activate the augmented reality (AR) feature, it becomes immediately apparent that Pokemon are everywhere. They can be found inside your house, in your yard, where you work, in parks and playgrounds, and just about any other place you care to travel. Finding rare Pokemon, on the other hand, is a much trickier task. Most of the Pokemon you run into out in the wild are common, which becomes obvious very quickly as your Pokedex fills up with dozens of weedles, pidgeys, and nidorans. That's great if you just want some candy to level up a common Pokemon, but if you're going after rare Pokemon, you have to know where to look. Some of the rarest Pokemon in the game come from raid battles, but you can also find rare Pokemon out in the wild, and hatching some of them from eggs is even even an option worth looking at. Pokemon are distributed randomly throughout the world, but specific types are found more commonly in some locations than others. Weather can also affect the type of Pokemon that you'll run into. So when you're looking for a specific rare Pokemon, it's important to know both where to look and what type of weather will give you the best chance. Normal None Found everywhere, even inside houses and other buildings. Fire Sunny Residential areas, places with dry climates, beaches. Water Rain Near water, including lakes, rivers, streams, and even parks with fountains. Grass Sunny Open grassy areas, forests, farms, parks, and golf courses. Bug Rain Farms, wooded areas, parks, playgrounds, and golf courses. Rock Partly cloudy Quarries, cities, highways, large public buildings like shopping malls. Ground Sunny Muddy areas, drainage ditches, creeks and streams, parking garages, cities. Electric Rain Industrial areas, schools, colleges, dry covered areas. Fighting Cloudy Stadiums, arenas, sports complexes, and gyms. Poison Cloudy Wetland areas like marshes, estuaries, lakes, and ponds. Fairy Cloudy Landmarks and places of interest, churches, cemeteries. Flying Windy Farms, wooded areas, grassy areas, nature reserves, playgrounds and parks. Dragon Windy Landmarks and places of interest, especially old and significant locations. Ghost Fog Churches, cemeteries, residential areas at night. Ice Snow Grassy areas that are close to water, places that have snow and ice. Psychic Windy Residential areas at night, grassy areas, hospitals. Dark Fog Cemetaries, landmarks, movie theaters. Steel Snow Large buildings, railroads. Legendary Pokemon are the rarest of the rare, and they're also the hardest to get your hands on. The only way to catch one is to participate in a raid event, which involves a bunch of players all teaming up to defeat the legendary Pokemon. If the raid succeeds, each player gets a chance to catch a super rare Pokemon of their own. The way to find a raid is to load up Pokemon Go and look for a gym that has an egg above it. The egg indicates that a legendary Pokemon has taken up residence in the gym, and you'll be able to fight it if you head over. If you regularly visit gyms, and you have a high level gym badge, then you may even receive an invitation to an EX Raid Battle. Legendary Pokemon are only available for a limited time, so the best way to find out which ones you'll actually be able to get your hands on is to keep your eyes on Niantic's Pokemon Go Live update page. The buddy system allows you to choose any one of your Pokemon to designate as a traveling companion. By walking around with the game active, the same way you would to hatch eggs, you will earn candies for your buddy. This is a great way to evolve something you already have into a powerful rare Pokemon, especially if your buddy is rare to begin with. When you're looking for rare Pokemon, it's extremely important to keep an eye on the Nearby Pokemon tab, which you can access by tapping the icon in the bottom right corner of the screen. This tab shows any Pokemon that are in your general area, and they show up as silhouettes if you've never caught them before. If you ever see a silhouette that you don't recognize, there's a chance that it could be a rare Pokemon. And even if it isn't, tracking it down and capturing it will help fill out your Pokedex. So tap the silhouette, and go find it. Pokemon tend to congregate in general areas based on their type, so the best way to find rare Pokemon that you haven't caught yet is to mix things up. If you follow the same general path for your daily commute and other activities, taking another route or just visiting some new locations will usually shake up the types of Pokemon that you run into. Hatching eggs that you obtain while you're playing is a great way to catch rare Pokemon that you might not run into out in the wild. Hatching requires you to place an egg into an incubator and then walk a specific distance. The game has to be active for this to work, and traveling in a vehicle like a car or a plane disables the feature. If you have Pokemon Go Plus, you can also use it in conjunction with hatching eggs. Most of the Pokemon that hatch from eggs are pretty common, but there are a lot of rare ones. Most of the rare Pokemon are found in 5 KM eggs, although there are a couple in 2 KM eggs, and some of the rarest are found in 10 KM eggs. If you're looking for a rare Pokemon of a particular type, we've included the type of each rare Pokemon found in eggs for easy reference. We've also included the evolution, if any, that the Pokemon can undergo. Some of the evolutions may not be available in Pokemon Go yet, but Niantic adds them in through regular updates. In addition to the regular rare Pokemon that you can hatch from eggs, there are also a handful that you can't get anywhere else. These baby Pokemon are only available from eggs, so if you want them, grab an egg of the corresponding type and start walking. There are several region-specific Pokemon that can only be captured in certain parts of the world. The only way to catch all of these Pokemon is to travel to every region, so they are among the rarest of the rare. Rare Pokemon Pokemon Type Where is it located? Mr. Mime Psychic / Fairy Exclusively found in Europe. Kangaskhan Normal Exclusively found in Australia and New Zealand. Farfetch&apos;d Flying / Normal Exclusively found in Asia, but can be hatched from eggs elsewhere. Tauros Normal Exclusively found in North America. Heracross Bug / Fighting Latin America, Florida, Texas. Corsola Psychic / Fairy Tropical areas near water. Relicanth Rock / Water New Zealand and nearby islands.